This post introduces the basic concepts behind Genetic Algorithms with an implementation in Scala. 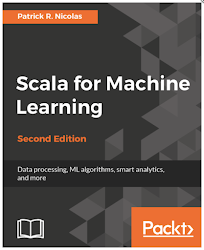 Scala is a type checked, object oriented and functional programming language built on top of Java Virtual Machine. We can leverage Scala's lambdas, partial functions and closures to implement the computational workflow of evolutionary algorithm. Genetic Algorithms have been invented by John Holland in the 1970s and derived their properties from the theory of evolution of Darwin. A living organism consists of cells which are composed of identical chromosomes. 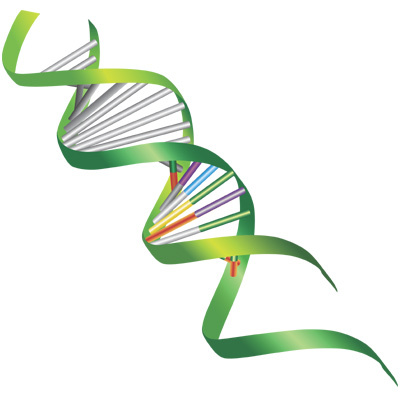 Chromosomes are strings of DNA and serves as a model for the whole organism. A chromosome consist of genes that are blocks of DNA and encodes a specific protein. Recombination (or crossover) is the first stage of reproduction. Genes from parents generate the whole new chromosome (offspring) that can be mutated. During mutation, one or more elements, also known are individuals of the DNA strand or chromosome is changed. This changes are mainly caused by errors in copying genes from parents. The success of the organism in its life measures its fitness. Select the initial population (search space) as a set of chromosones which represent candidates for solving a problem. Encode the chromosones into a vector of real values (continuous process) X(x1,..,xn) or string of bits (00101110101111010111). Evaluate or rank the chromosones using a fitness function. Select the fittest chromosones (which meet the minimum fitness criteria) for reproduction. Pair chromosones for cross-over. The process consists of applying a cross-over rate to interchange fragment or section of the "parent" chromosones from a random point in the encoded string or vector. Mutate chromosomes by flipping one or more of their elements(bits) using a randomly generated index bounded by a mutation rate. Iterate the reproduction cycle (steps 2 to 6) for the current population. Crossover rate is used to compute the index beyond with the elements or bits of two parents chromosones are exchange. The first step is to implement the key components of a genetic algorithm The implementation has to be generic enough to support any kind of fitness functions and encoding scheme. A chromosomes is composed of one or several genes, each representing a predicate, axiom, fact or a rule/policy. This implementation uses the unfitness value of the chromosome for ranking, instead the usual fitness value. It is defined as 1- normalized_fitness (line 3). id: This is the identifier of the gene. It is usually the name of the variable represented by the gene (line 2). target: This is the target value or threshold to be converted or discretized into a bit string (line 3). op: This is the operator that is applied to the target value (line 4). discr: This is the discretization (or quantization) scheme that converts a numerical (real) value to an integer which is then converted into bits. It also supports the conversion of the bits string back to a numerical value. The genes as subjected to the same genetic operations as the chromosomes: cross-over (line 8) and mutation (line 9). The conversion from bits string back to numerical value is implemented by the method deconde (line 11). The main benefit to encapsulate the two conversions into a single class is to reduce the risk of inconsistency and inaccuracy between these two conversions. The instantiation of Gene (lines 5-6) converts a predicate into a bit string of type java.util.BitSet. The bit string is decoded by the decode method of the Gene companion object (lines 10 - 12). chromosomes: This is the pool of chromosomes defining the current population (line 5). ^ for the mutation of each chromosome (line 12). This completes the first part of the implementation of genetic algorithms in Scala. The next post dives into the details in the implementation of the genetic operators.